Disposed on Ulica Madijevaca 4/1 in Zadar in 236 m from the centre. 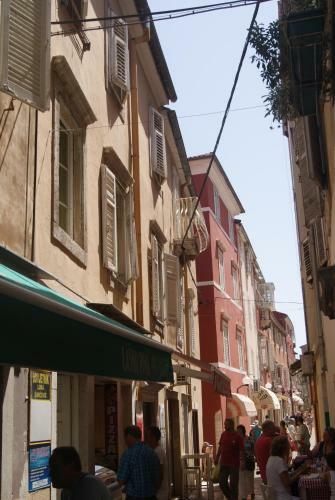 3 stars Apartment Apartmani i soba Barbara is all that you need for a city trip vacation. The apartment is within striking distance to Palace of the Governor General, Museum of Illusions Zadar, The Captain's Tower. The most proximate Zadar Airport is in 10.4 km from the apartment. For comfort are offered the most popular amenities: easy express check-in/check-out, high-quality Wi-Fi is available throughout, convenient airport transfer, comfortable family rooms. Please consider only cash is accepted for payment. Staff communicates in German, English, Croatian, Italian. For the best accommodation, you can choose one of the 3 rooms in the apartment. The following categories of rooms are available for you: apartment, double, studio. Of the amenities, there are air conditioning, hairdryer, refrigerator, desk, microwave, flat-screen tv, dining table. Air-conditioned, modernly furnished apartment offering a fully equipped kitchen with a dining area, a living room and a private bathroom with a shower. This twin/double room features air conditioning, fridge and a desk. 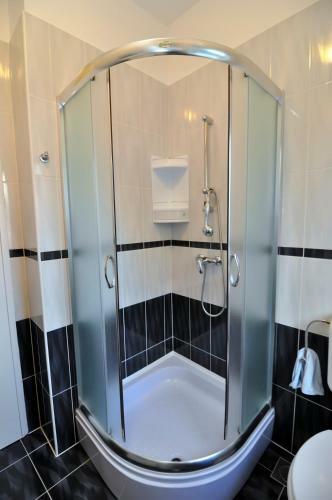 It has a private bathroom with a shower and is located on the 1st floor. There is a seating area with satellite TV.